There’s nothing like the convenience and community of living in an apartment. From not having to worry about cutting the grass or removing the snow, to making new friends with the people who live nearby, apartment living certainly has many advantages. Another advantage is that you don’t have to purchase costly homeowner’s insurance to keep your property safe since the landlord pays to insure the buildings out of his pocket. However, though the landlord’s policy insures the structure, it does not cover your personal possessions. This gap in coverage is why you need renter’s insurance for the entire duration of your stay in your apartment. 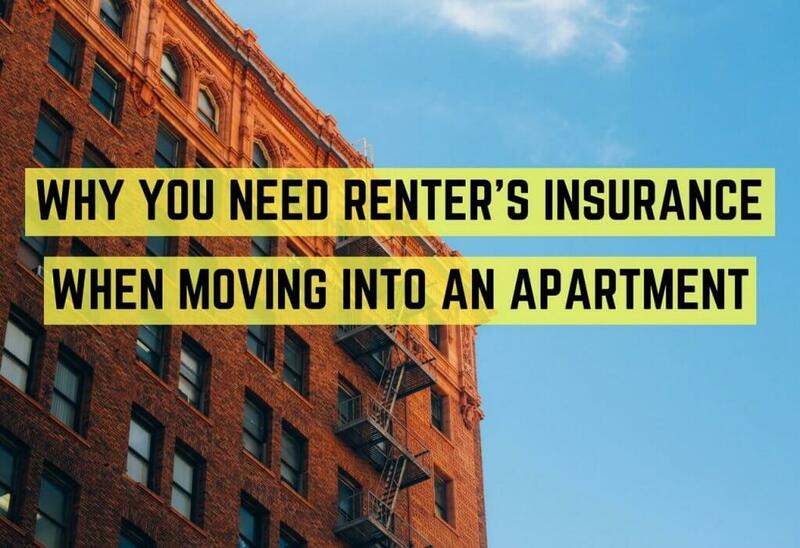 Renter’s insurance is an insurance policy designed to protect you and your possessions if you’re among the 37% of Americans who rent the property where you live. Though you can purchase rental insurance for any rental property, an apartment is the most common type of property covered. You can purchase renter’s insurance through the same insurance companies that offer auto insurance, homeowner’s insurance, and other property and casualty insurance lines. The plus side is that renter’s insurance tends to cost much less than a homeowner’s insurance policy, allowing you to keep more money in your pocket. Additionally, you may be able to bundle your policy with an existing auto or another type of policy to save on coverage. As mentioned, your landlord’s insurance policies do not cover your personal possessions in the event of a loss. Since an average renter of a 2-bedroom apartment has over $20,000 in personal belongings, a total loss event could be utterly devastating. Renter’s insurance covers the contents of your apartment: everything from clothes to computers to cat toys, to ensure you can quickly get back on your feet if you lose all or even a little bit of your stuff. In addition to covering your possessions, renter’s insurance also provides liability coverage, in case something you do causes someone else to suffer a loss. For example, if you live on the second floor of your apartment building and you leave the tub running for too long, resulting in a flood in the apartment below, you would be responsible for replacing any damaged possessions. With renter’s insurance, though, you don’t have to worry about bearing that burden. What levels of coverage should I purchase? When considering personal coverage for a renter’s insurance policy, contemplate any significant purchases you plan to make before the policy renews again. For example, if you’re planning on purchasing a $2,000 couch, and your other possessions already total $10,000, don’t buy just $10,000 of coverage. Make sure to overestimate the cost to replace your possessions, and be sure to select full replacement cost coverage instead of actual cash value coverage. If you go with actual cash value coverage, you will only receive the money for the value of the items lost when you suffered the loss, not what it will take to replace them moving forward. As far as liability coverage, try to consider the worst-case scenario to gauge the appropriate amount of coverage to purchase. For example, if something you do causes a fire that damages each unit in your building, you’ll be liable. Even large amounts of coverage typically won’t result in much of a premium increase, so don’t be afraid to bump it up higher than you think you might need to. Moving into a new place is certainly an exciting time. Give yourself the peace-of-mind to help make your transition as smooth as possible by covering yourself with renter’s insurance. It’s a small investment that could save you thousands of dollars. For assistance with your Greenville renter’s insurance, please call Upside Insurance today! What Safety Equipment is Required on a Boat in South Carolina? Is South Carolina a Fault or No-Fault State for Car Insurance? Copyright © 2019. Upside Insurance Greenville. All Rights Reserved.